Sean Farrell’s story is both beautiful and touching. We are grateful to have received so many notes and generous donations in his memory. Sean continues to live in his love for nature and helping both animals and humans. 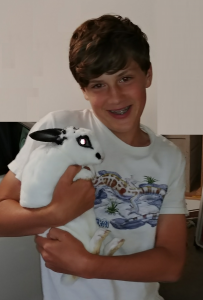 Sean was an energetic 14 year old who loved nature and the outdoors all his life. He was truly happy walking around a pond or wading down a stream looking for fish to catch, frogs and turtles to grab, and snakes to slither around his hands. He could have opened a zoo if we had let Sean keep just a small fraction of the animals that met him. He was never happier than when he had a fishing pole in his hands. People often wondered how Sean, the kid in almost a constant state of motion, was able to sit still long enough to enjoy fishing. It would all make sense to them when we explained Sean’s preferred method of fishing; at least 2 lines in the water, 3 even better, Dad to change lures and bait hooks, and a large enough area to change locations constantly. Another lovely match has begun with lots of training ahead. Asher is a delightful psychiatric service dog in training that Tim & Brenda Goodnight from Goodnight Farm Rescue donated. Healing Companions, Inc. is indebted to them and looking forward to Asher transforming Eli’s life as his psychiatric service dog. Northwest Bank 49 S Main St, Oberlin, OH beginning January 2nd. 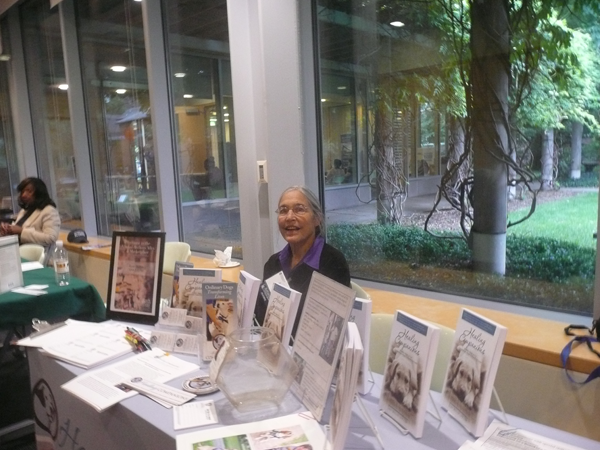 Enter our drawing to win a prize and help yourself to our brochures, bookmarks, articles etc. 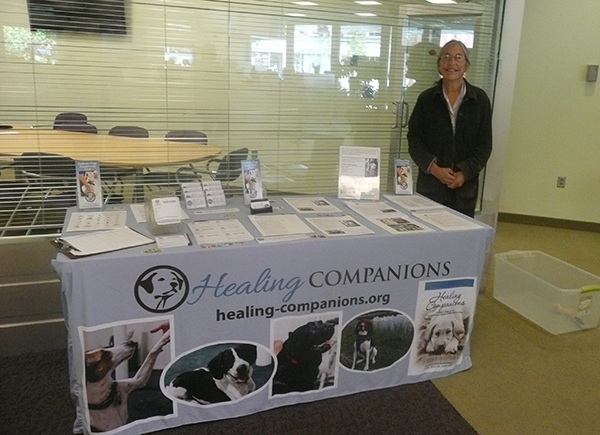 about our non-profit organization, Healing Companions, Inc. Learn all about how we save the lives of shelter dogs who in turn transform the lives of those severely limited by their mental illness, training these dogs as their psychiatric service dogs. A win-win situation that you can support through volunteering, generosity and by spreading the word. We are honored to be invited by Northwest Bank as non-profit of the month.